This particular form has to be filled up by both applicant and employee. Whoever is filling the form he or she has to judge himself upon some factors like – Administration, Knowledge of Work, Communication, Teamwork, Decision Making/Problem Solving, Expense Management, Human Resource Management etc. after filling this form it has to be submitted to evaluator. This form belongs to University of Limerick. This form is given to all the applicants as well as to the employees, where all the details of anyone’s job are written. This can be said as the contract form to them. This form belongs to Saint Mary’s University, where the applicant has to fill this form before getting a job. 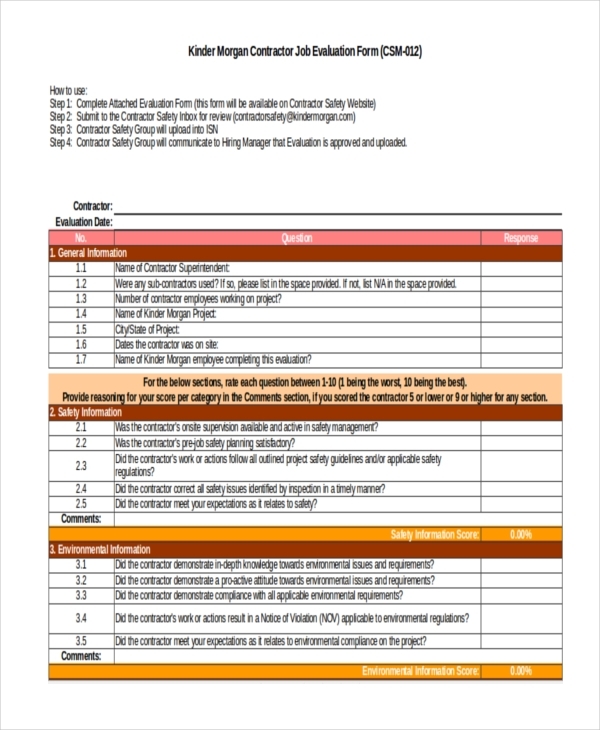 This form is based on some basic criteria and it is like a test for the applicant that how they uses their sense for filling this form. This form has to be filled by that person under whom the others employees are working. The senior has to judge his or her junior on the basis of their performance. This form has to be filled during an interview and by that person who is taking the interview. 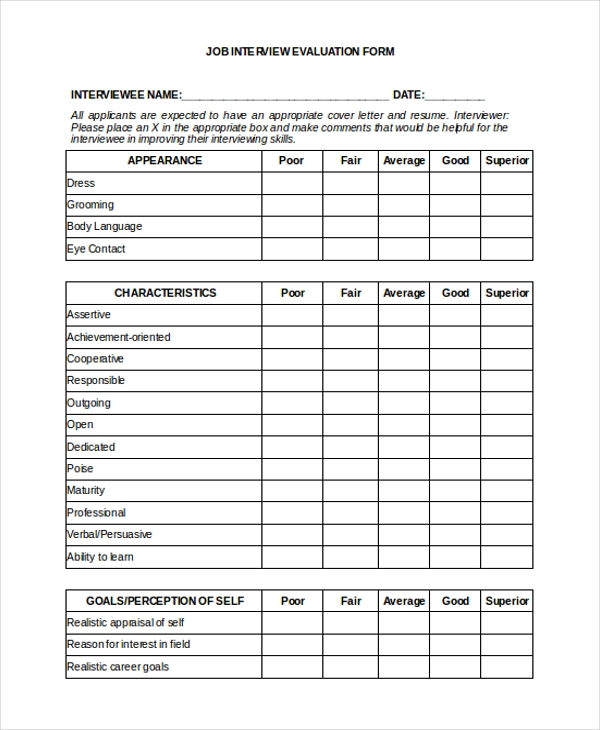 After taking the interview the interviewer has to fill this on the basis of the performance of the applicant and then it has to submit to the evaluator. This form belongs to Kinder Morgan Contractor. Job related to contractor services for those it is an essential form to be filled. This particular form belongs to University Auxiliary Services. 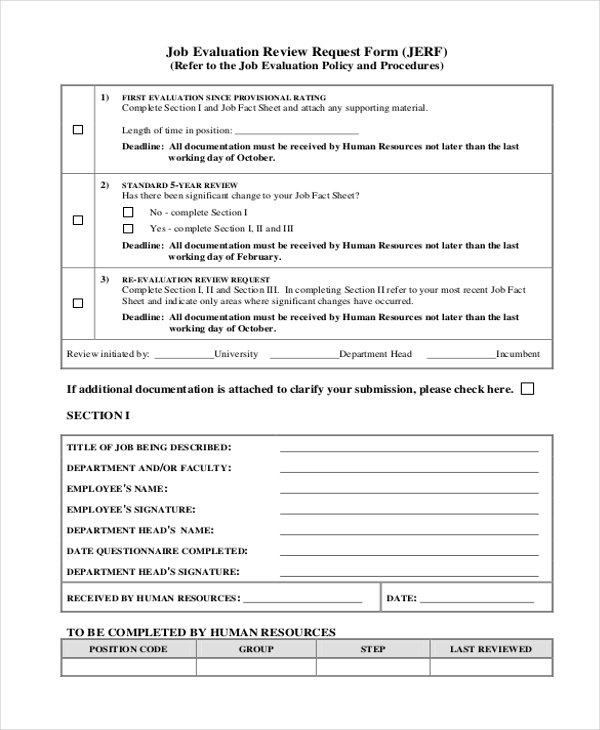 This form is for those employees who are involved with auxiliary services and under whom they are performing that person has to fill this form. 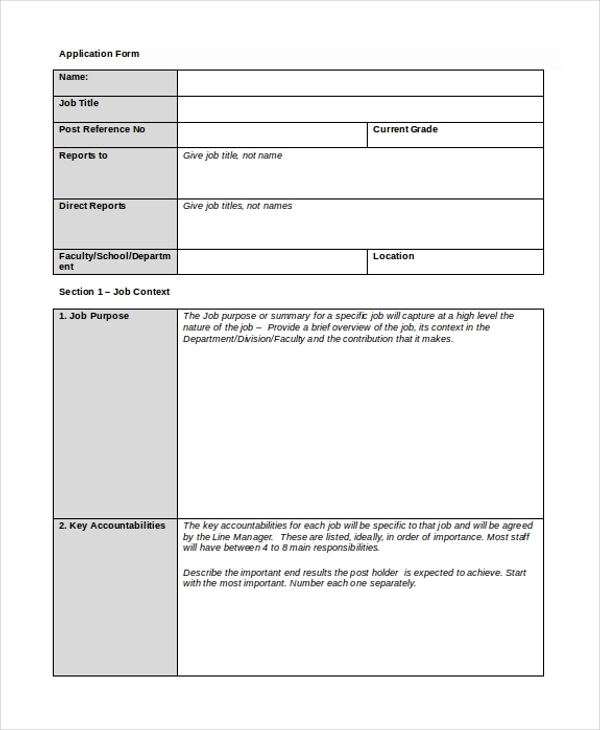 This form contains the overall account of an employee’s performance. This form belongs to Pro Mind Management and Organization Development. This particular organization judges their employees through form on the basis of their performance. This particular form belongs to Saint Mary’s University and it has to fill up by that person who is responsible for recruiting candidates of the association. 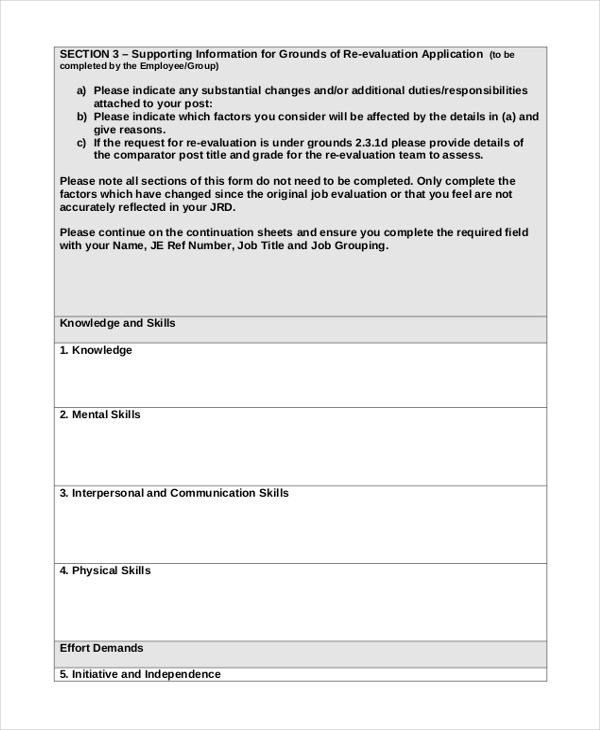 What is a Job Evaluation Form? Job Evaluation (JE) is the examination and evaluation of work for the reason of influential the relative value of each job in an association. Job evaluation is the basis for reasonable compensation. For this job evaluation process some forms has to be filled which are called Job Evaluation Form. 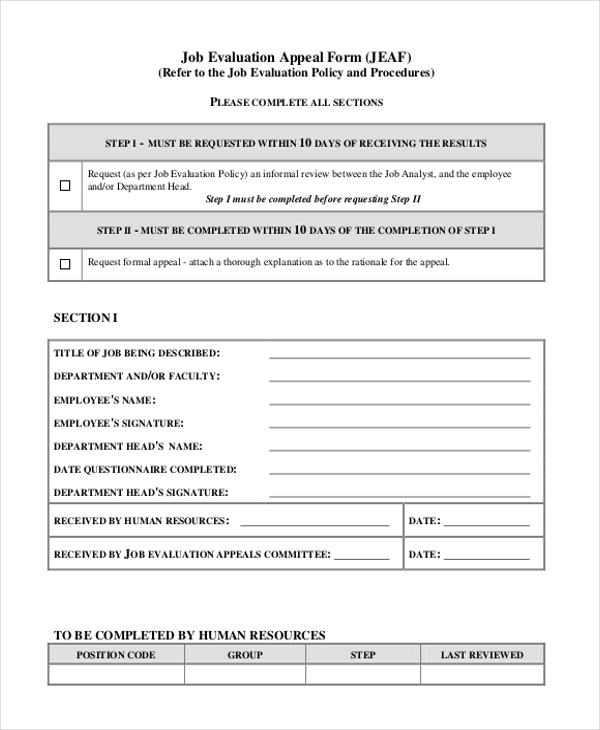 It is considered to be the only actual proof- This form is considered to be the only document which any organization needs in the process of appointing an employee. Contains correct details- This form contain the details which are absolutely perfect and there occurs no chance of discrepancy. 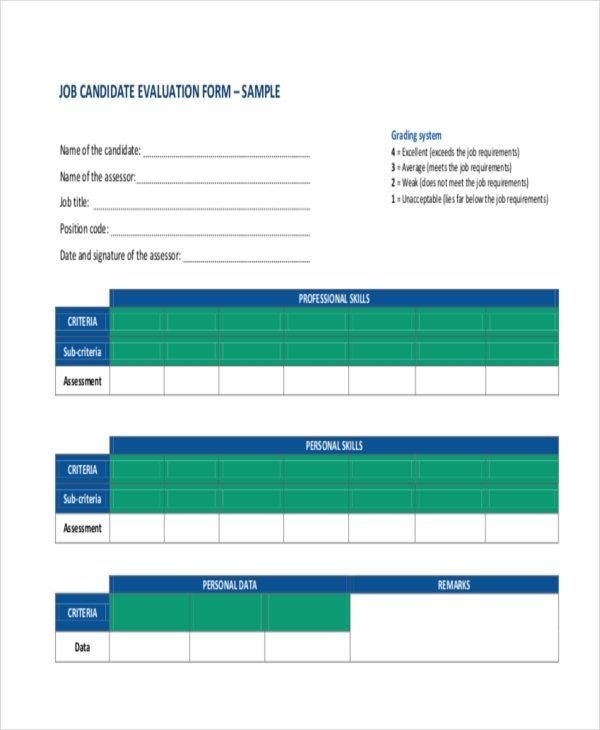 The use and purpose of a job evaluation form is to evaluate the performance of an employee. For every association it is compulsory to fill the job evaluation form by the employee, or by the HR, or by the supervisor. A Job Evaluation form is a type of form which is solely used as a document for the purpose of evaluation of jobs. 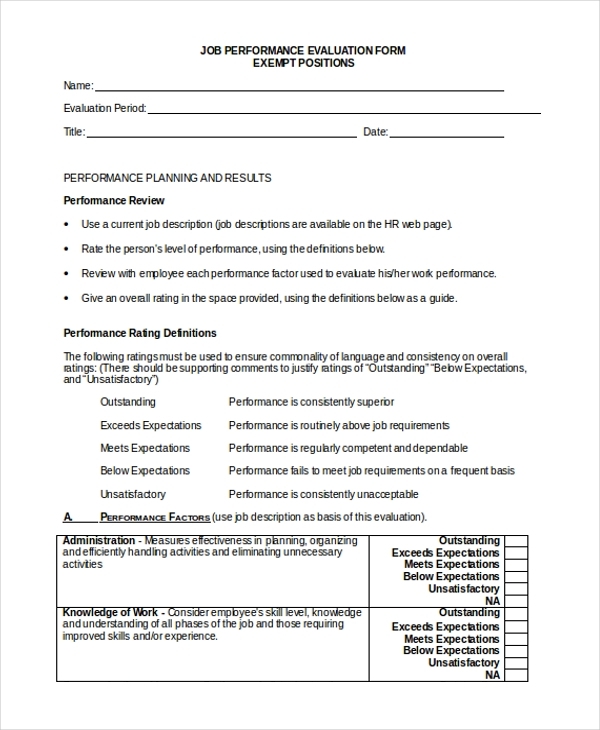 This particular form is used by more or less every industry to evaluate their employee’s performance. This is the only document which serves as a correct and a legal one to get back all the details of an applicant or an employee.